WingTsun’s scientific principles allow even a smaller person to defeat a large, powerful opponent through simple, yet superior, technique. WingTsun teaches “contact reflexes,” the ability to feel what an opponent is doing and respond long before one could from visual input alone. Close-range techniques such as punches, low kicks, elbows, and knees are combined with highly maneuverable footwork and applied in a springy manner which borrows the opponent’s force and turns it back against them. WingTsun is sometimes seen spelled as Wing Tsun, Wing Chun or Ving Tsun. It is a Southern Chinese Kung Fu style taught by the late Grandmaster Yip Man (Ip Man). It was the original style of the late Bruce Lee. The WingTsun spelling is a trademark of Great Grandmaster Leung Ting, “closed-door disciple” of the late Grandmaster Yip Man. The International WingTsun Association – North American Section (IWTA-NAS) is the only organization in North America which represents Great Grandmaster Leung Ting’s International WingTsun Association (IWTA), the largest Chinese martial arts organization in the world, with branches in over 60 countries. 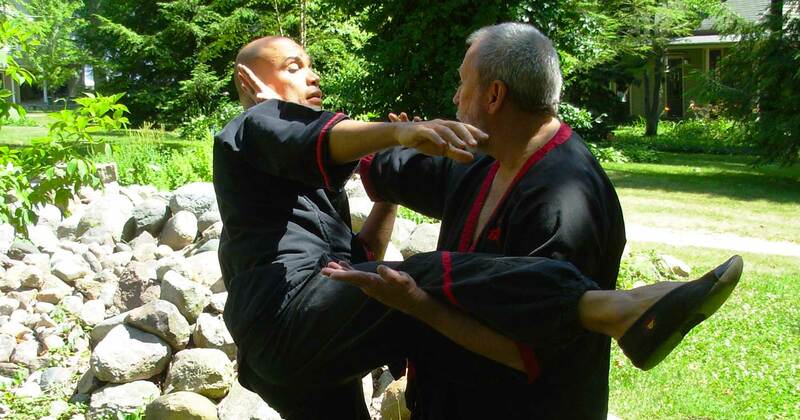 Dynamic Martial Arts of Bloomington-Normal and Sifu Mike Adams are authorized to teach WingTsun by the IWTA-NAS and IWTA. In addition, Great Grandmaster Dr. Leung Ting is flown in regularly for major seminars.